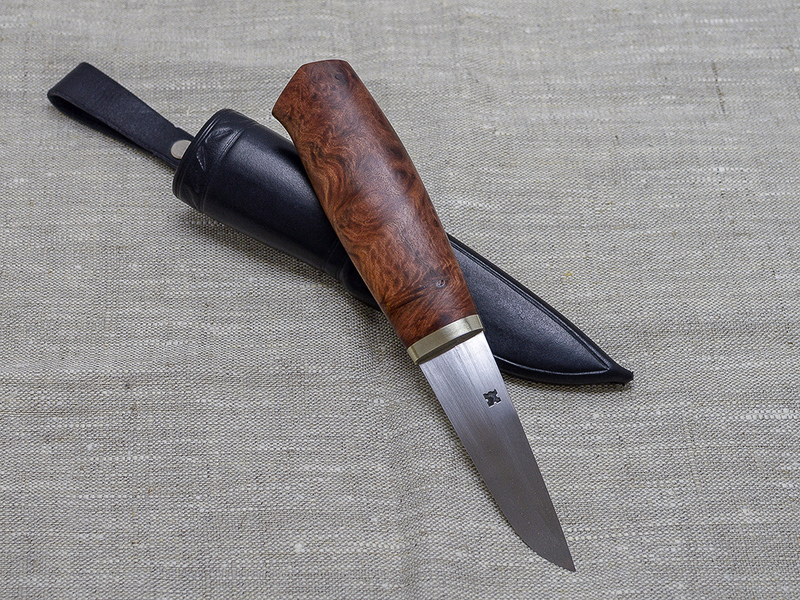 Badger- model puukko with Australian Red Malee handle, nickel silver fittings, 83 mm carbon steel (80CrV2) blade. 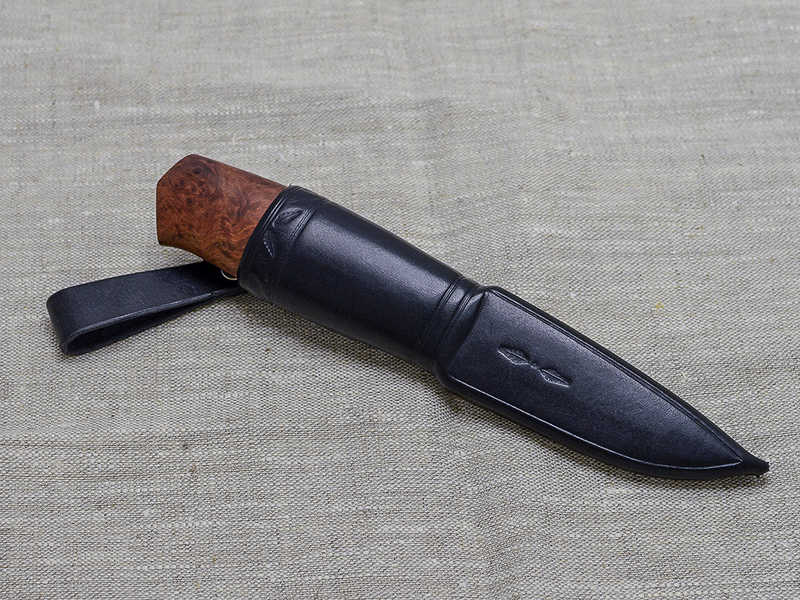 Black leather sheath. 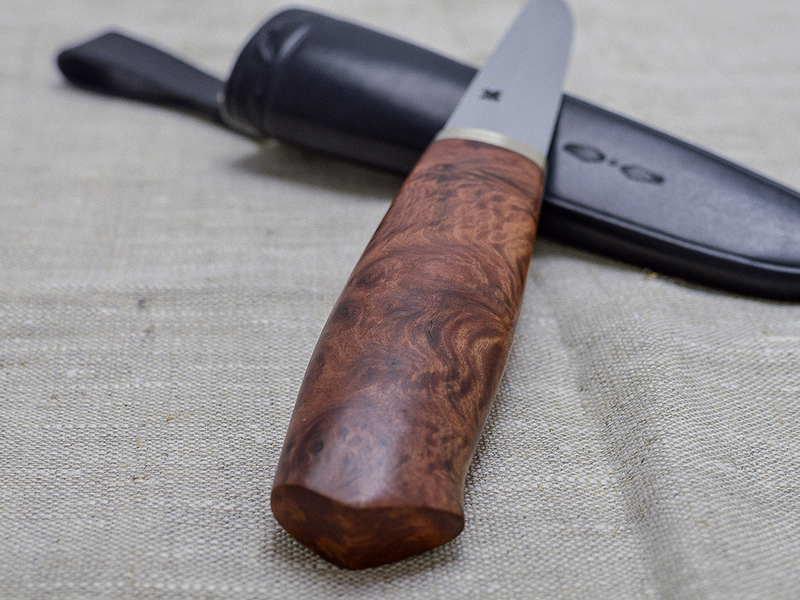 Excellent puukko for carving.